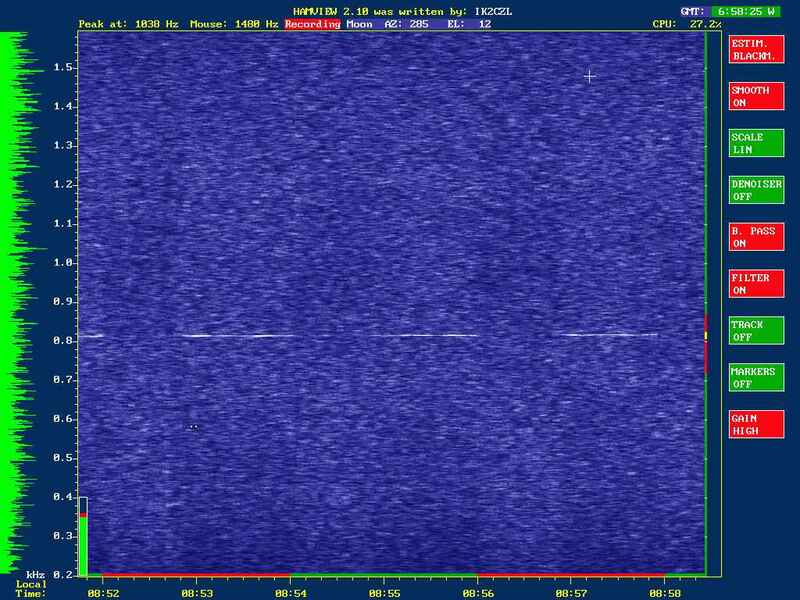 We are proud to announce the availability of HAMVIEW, a program to dig out weak signals buried in noise, functionally similar to the excellent FFTDSP of AF9Y, but with the added bonus of real time audio filtering of the incoming signals. Just point and click with the mouse, and the selected signal will stand out from the QRM and noise. Version 2.21 is out ! Download it from the link below. And please report any bug you may find. 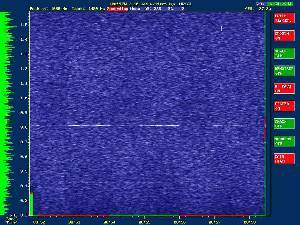 This is a sample screen, showing the EME signal of W5UN during the December 1998 EME Contest, received with just one Yagi in a noisy environment. It was not possible to copy it by just listening. The signal was too weak, and the background noise too high. On this sample screen it is possible to see a very faint carrier at 50.110 MHz, of unknown origin. 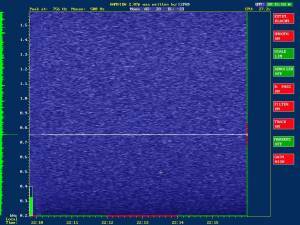 The signal was so weak that it was completely buried in the band noise and it was totally inaudible.